Women have been important contributors to and readers of magazines since the development of the periodical press in the nineteenth century. By the mid-twentieth century, millions of women read the weeklies and monthlies that focused on supposedly "feminine concerns" of the home, family and appearance. In the decades that followed, feminist scholars criticized such publications as at best conservative and at worst regressive in their treatment of gender norms and ideals. However, this perspective obscures the heterogeneity of the magazine industry itself and women’s experiences of it, both as readers and as journalists. 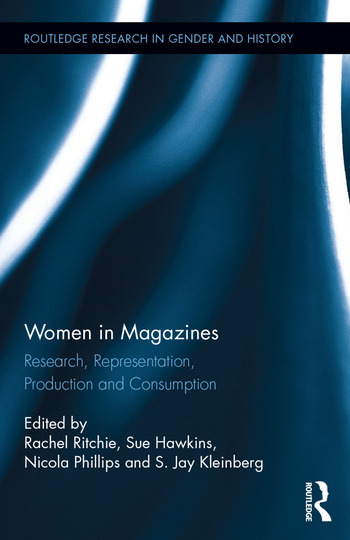 This collection explores such diversity, highlighting the differing and at times contradictory images and understandings of women in a range of magazines and women’s contributions to magazines in a number of contexts from late nineteenth century publications to twenty-first century titles in Britain, North America, continental Europe and Australia. Rachel Ritchie is an Associate Research Fellow at Brunel University London. Sue Hawkins teaches 19th-century British social history at Kingston University London. Nicola Phillips is a Gender Historian and Co-Director of the Bedford Centre for the History of Women and the MA in Public History at Royal Holloway, University of London. S. Jay Kleinberg is a Professor Emerita at Brunel University London and Chair of the Society for the History of Women in the Americas.